First black singing cowboy hero in B-Westerns crooned with Duke Ellington Orchestra in 1930s-40s. 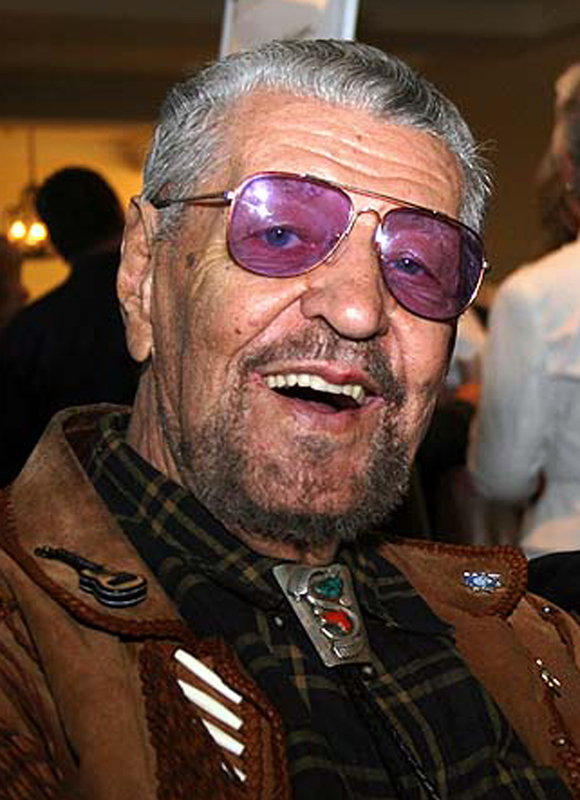 Herb Jeffries in 2008. Photo by Stephen K. Peeples. 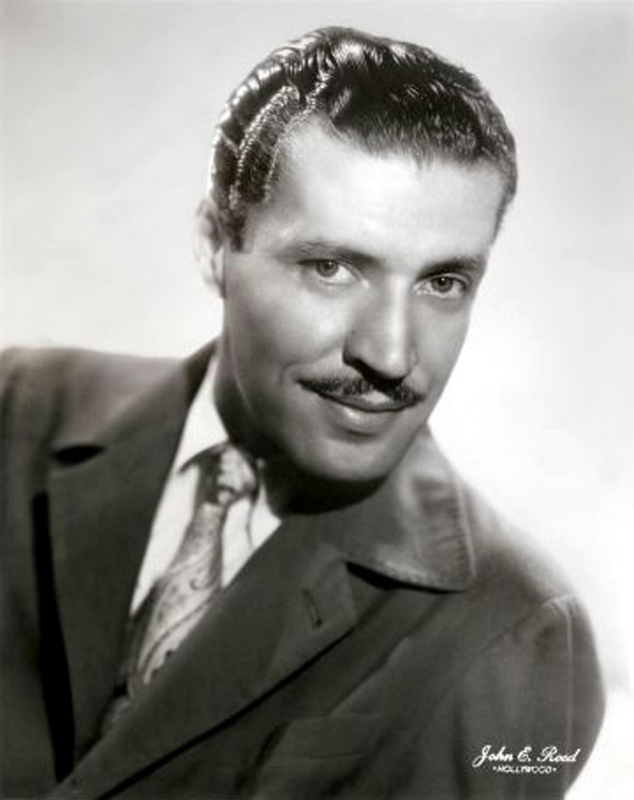 Pioneering jazz singer and screen actor Herb Jeffries, who scored hits with the Duke Ellington Orchestra in the 1940s and on his own after riding to fame as "the Bronze Buckaroo" — the first black singing cowboy hero in Western movies — died Sunday, May 25, in West Hills, Calif. He was 100. 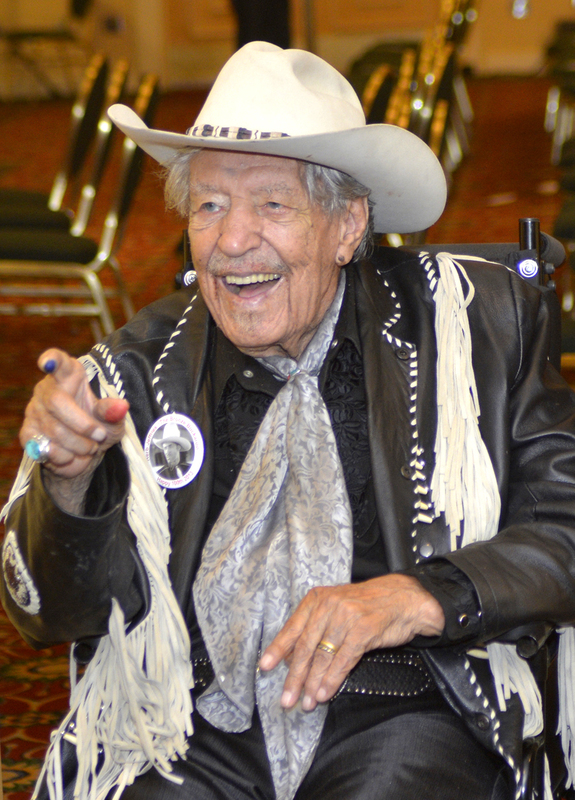 Honored in March 2001 with a bronze saddle plaque on the city of Santa Clarita's Walk of Western Stars, which recognizes Western performers who plied their trade at one time or another in the Santa Clarita Valley, Jeffries was the oldest living inductee. Jeffries had been in declining health and died of heart failure, said his widow, Sarah Lee "Savannah" Jeffries, on Tuesday. "About five days earlier, he said he wasn't feeling well," she said. He hadn't improved after two days, as he usually did, so she took him to nearby West Hills Hospital. Three days later, on Sunday at 10:29 a.m., his heart gave out. "It was fast, thankfully," she said. The couple had moved to Woodland Hills about a year ago, after many years residing in Idyllwild. A memorial service is set for Saturday, July 12, at the Self Realization Fellowship's Lake Shrine in Pacific Palisades. The family has set up a fundraising Web page to help pay funeral expenses. Details appear at the end of this article. Herb Jeffries hit the century mark on Sept. 24, 2013, and Café Aroma in Idyllwild threw its annual birthday party for him in the Herb Jeffries Room. A few days later, cowboy pal Marsha Taylor and friends threw another birthday celebration at the Roy Rogers Ranch in Victorville. 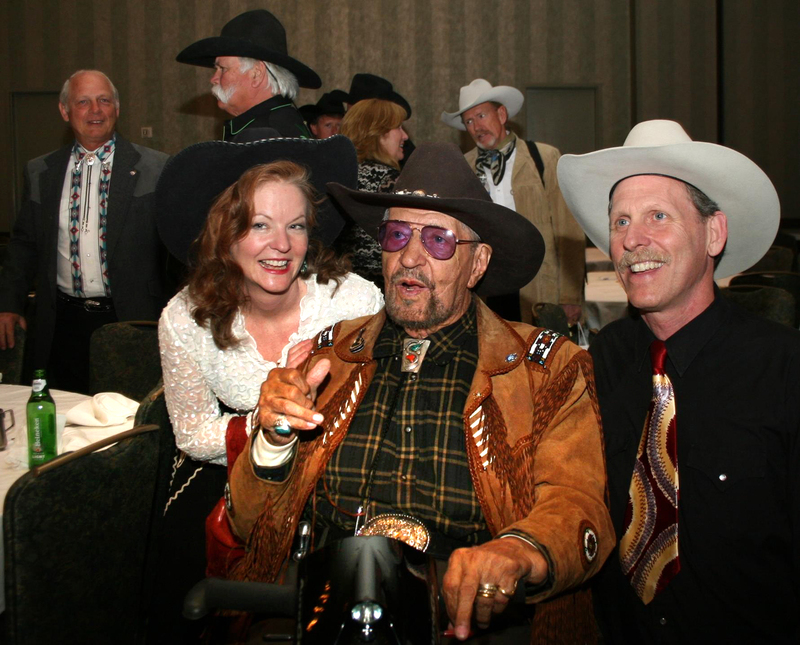 In November, Marvin and Teresa O'Dell and the Western Music Association honored Jeffries with a huge party. "They called him 'The Century Cowboy,'" Savannah Jeffries said. He had retired from performing only a few years earlier, at age 97. The blue-eyed Jeffries was born Umberto Alessandro Balentino in Detroit on Sept. 24, 1913. His mother was of Irish descent, his father Sicilian, and one of his great-grandparents was from Ethiopia. Young Herbert, who took his stepfather's last name, Jeffrey, learned how to ride horses on his grandfather's dairy farm in rural Michigan and was a big fan of early cowboy movie stars such as Tom Mix. "So I'm an Italian-looking mongrel with a percentage of Ethiopian blood, which enabled me to get work with black orchestras," Jeffries told The Oklahoman in 1974. 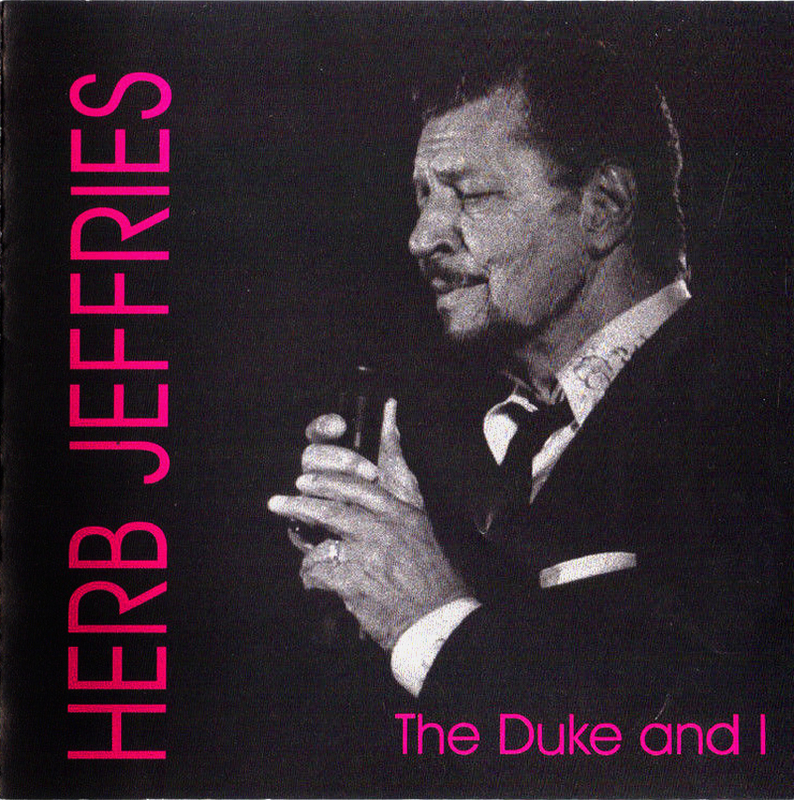 Jeffries was a noted jazz singer before he ever walked onto a movie set. Gifted with a four-and-a-half-octave voice and a singularly smooth phrasing style, he sang as a teen with McKinney's Cotton Pickers from 1929 to 1930. Two years later, jazz legend Louis Armstrong is credited with discovering the 19-year-old Jeffries and urging him to pursue his singing career. Armstrong gave him a note on a napkin to deliver to bandleader Irskin Tate at the 1933 Chicago World's Fair. "You gotta hear this guy. — Pops," Armstrong wrote. But then bandleader Earl "Fatha" Hines heard Jeffries sing and promptly stole him from Tate, offering him more money. Jeffries first earned fame singing with the Hines Orchestra at Chicago's Grand Terrace, a ballroom run by notorious gangster Al Capone. Touring the South with Hines during the 1930s, Jeffries noted how movie theaters were packed with dark-skinned people watching Hollywood Westerns starring all-white casts. He shopped an idea for making Westerns with non-white casts and decent scripts targeting non-white audiences but got nowhere with the major Hollywood studios or wealthy black financiers. Finally, in 1937, Jeffries found a willing partner in B-movie producer Jed Buell, whose claim to fame was the following year's "The Terror of Tiny Town," a Western musical starring little people and filmed at what is now Melody Ranch in Placerita Canyon. Buell, who was white, didn't think Jeffries looked dark-skinned enough and insisted the actor wear darker makeup, just to be sure black audiences weren't confused. 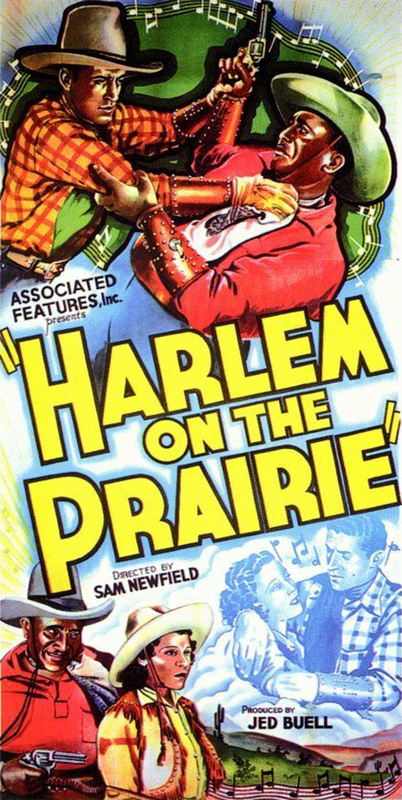 The tall, handsome and even darker Jeffries made his big screen debut as the lead in 1937's "Harlem on the Prairie," billed as "the first all-colored Western musical." Directed by Sam Newfield, the film was the first of a handful of no-to-low-budget oaters Jeffries made with non-white casts and characters in roles that weren't subservient to whites — as most roles for people of color in mainstream Hollywood films were then. Decked out in all-black duds with silver studs and signature white Stetson, Jeffries typically played a hero named Bob Blake who rode a white steed named Stardusk and was as handy with a pair of six-guns or a lariat as he was with a song. "Little children of dark skin — not just Negroes, but Puerto Ricans, Mexicans, everybody of color — had no heroes in the movies," Jeffries told The Los Angeles Times in 1998. "I was so glad to give them something to identify with." 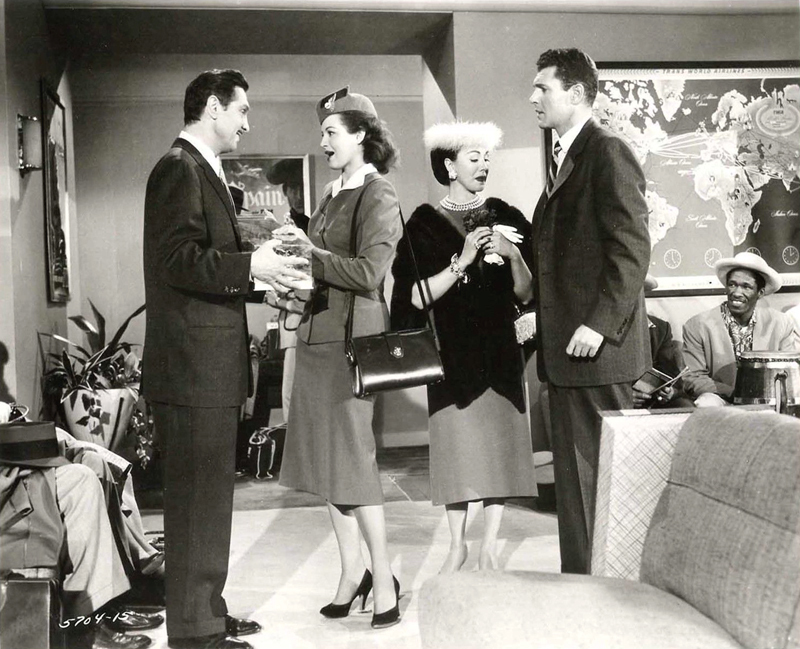 Jeffries (left) has the title role in 1957's "Calypso Joe" with Angie Dickinson. Jeffries' filmography includes "Harlem Rides the Range" (1939); "Disk Jockey" (1951, co-starring with Sarah Vaughan and Tommy Dorsey); "Calypso Joe" (1957, playing the title role opposite Angie Dickinson and composing the score for his Calypsomaniacs); "Mundo Depravados" (1967 cult classic starring then-wife Tempest Storm); and the TV movie "The Cherokee Kid" (1996, playing himself in a Western comedy opposite Sinbad, James Coburn and Gregory Hines). In the late 1930s, to promote his Westerns, Jeffries often hit the road with his vocal backing group, The Four Tones, driving a Cadillac with longhorn steer horns mounted on the hood and his name emblazoned on the doors in gold rope. His swift six-gun moves and rope tricks wowed audiences of all ages and colors. 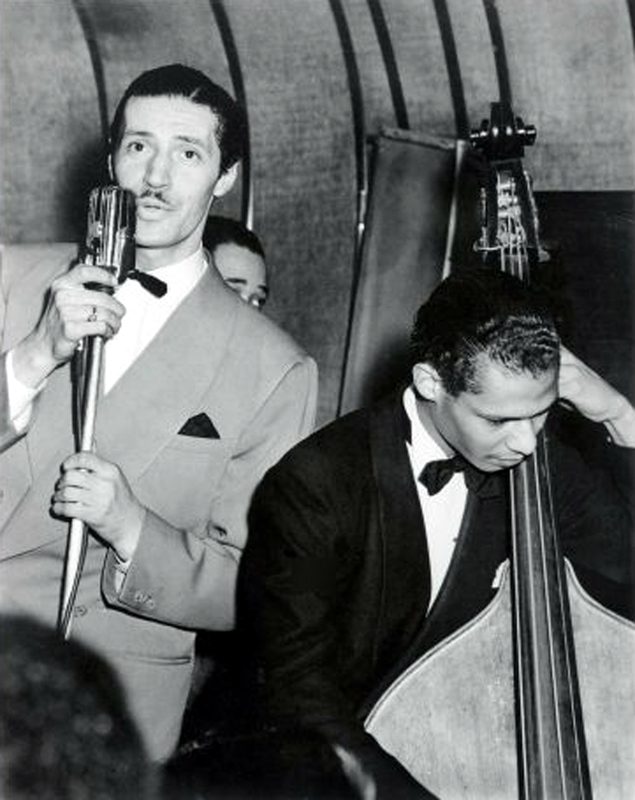 Jeffries (left) performs in 1941 with the Duke Ellington Orchestra. Jimmy Blanton is on bass and Ellington is peeking out from behind Jeffries' shoulder. 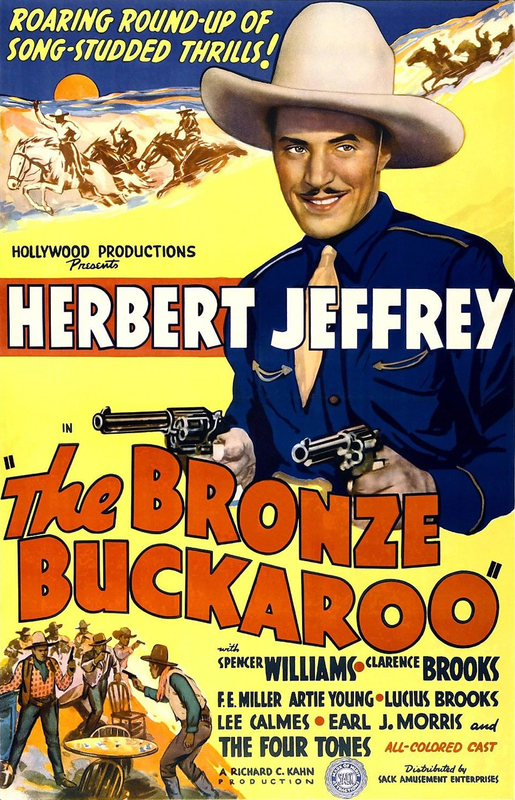 As his Western film career took off, Jeffries was performing at the Apollo in Harlem in his full Bronze Buckaroo getup. Bandleader Duke Ellington caught a show, and then at a gig in Detroit, Ellington invited Jeffries on stage to swing with the orchestra. Ellington hired him as featured vocalist, and Jeffries swapped his Stetson for a dinner jacket. Ellington arranger Billy Strayhorn convinced the tenor to sing baritone instead, which brought out even more of Jeffries' naturally mellifluous tones — and enthusiastic responses from the ladies. The Orchestra's 1941 recording of "Flamingo" was Jeffries' biggest hit as a recording artist and became his signature song. The same year, Jeffries co-headlined Ellington's historic all-black "Jump for Joy" musical revue with Ivie Anderson, "Big" Joe Turner and new kid Dorothy Dandridge. The production ran 12 weeks at the Mayan Theater in Los Angeles. Then came the Japanese attack on Pearl Harbor and America's entry into World War II. Drafted into the Army in 1942, Jeffries was assigned to a USO Special Services company that entertained U.S. troops around the world. After the war, Jeffries picked up his recording career and released singles including "When the Swallows Come Back to Capistrano" and "Basin Street Blues." His biggest postwar chart hits were "When I Write My Song" (a single on the Exclusive label that charted July 12, 1947, and peaked at No. 21; check out the "soundie") and "The Four Winds and the Seven Seas" (on Columbia, charting July 16, 1949 and peaking at No. 18). In 1948, Jeffries was involved a small plane crash that severely injured his back and led to a lifelong change in his spiritual path and physical health. Jeffries had been based in the Los Angeles area but was often performing in Las Vegas, so he earned a pilot's license and bought his own plane to fly back and forth. On one quick trip home to visit his family, his plane wasn't serviced and ready in time for the scheduled return trip. So Jeffries' pal, Mickey Rooney, who had the same kind of plane, loaned Jeffries his aircraft. Jeffries didn't want to fly himself so he hired a local pilot, and after takeoff, he took a nap. The pilot made a navigation error — he'd put a magnetic ashtray on the dash, messing up the compass — and by the time he woke Jeffries up, the plane was nearly out of gas. It crash-landed near Laughlin, Nev., and Jeffries suffered major back injuries. While he was recovering, in severe pain and facing risky back surgery, one of Jeffries' aunts gave him a copy of "Autobiography of a Yogi" by Indian-born Paramahansa Yogananda, who had founded the Self-Realization Fellowship in California in 1920. Jeffries went to Los Angeles, connected with Yogananda, and after several months of practicing yoga and meditation with the master, he finally found relief from his back pain without the risky surgery. 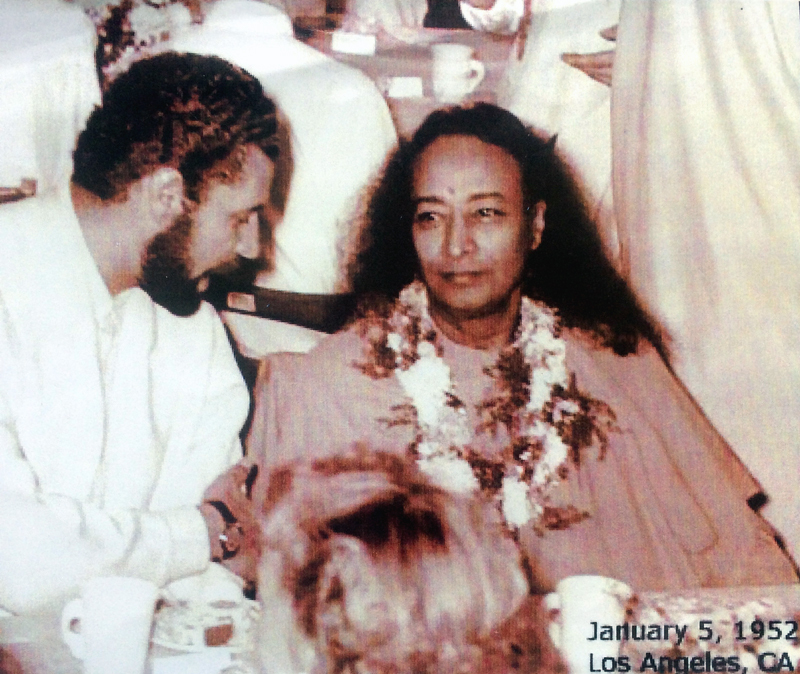 This began a deep friendship between Yogananda, known to his followers as "Guruji," and Jeffries, who earned a new nickname: "Guruji's buddy," because they spent so much time together. "They would swim together in Lake Shrine," Savannah Jeffries said, until Yogananda died of heart failure on March 7, 1952, at 59. Jeffries lost his "Guruji" then, but he never stopped practicing yoga and meditation, she said. Not much later, the Army recalled Jeffries, and he served a hitch in Korea. Afterward he relocated to France for several years and ran two popular jazz nightclubs, including The Flamingo in Paris. He also continued recording, releasing "Say it Isn't So," an album of torch ballads, in 1957. Back in the States in the 1960s, Jeffries continued his acting career in character roles on television series such as "Hawaii Five-0" and "I Dream of Jeannie," and he guest-starred on an episode of "The Virginian." He kept up a busy schedule of singing appearances at clubs and concerts well into the 1990s, with frequent appearances at venues in the Los Angeles area and other Southern California locations. 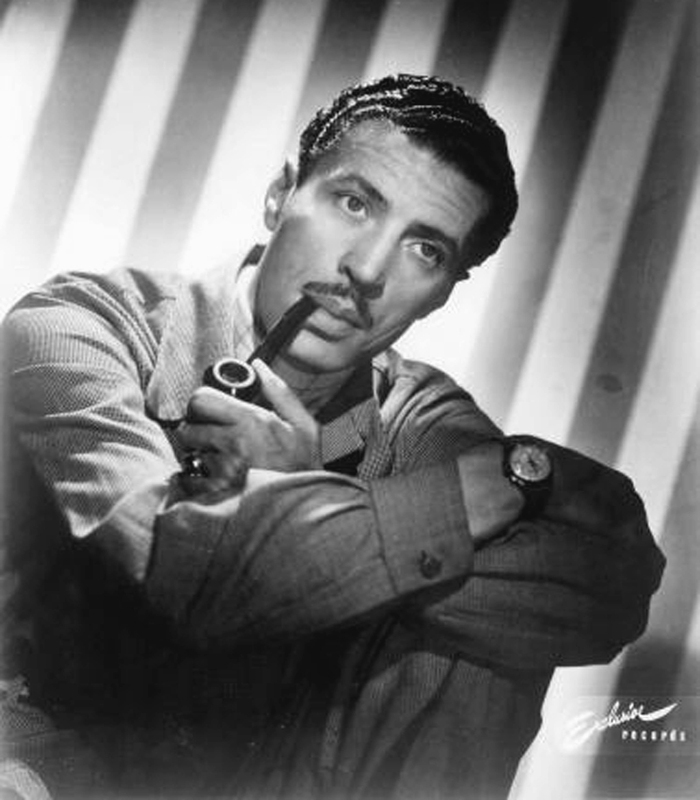 Veteran Los Angeles music journalist Charles Andrews saw and heard Herb Jeffries sing at San Fernando Valley clubs a few times in the mid- to late 1980s and was deeply impressed. Andrews is rarely deeply impressed. "He was very elegantly dressed and coifed, in his 70s then — ha! — but a long way from his final bow," Andrews remembered. "He was a deep-voiced crooner who could have ranked with any of the white ones. He didn't swing much, but boy, could he glide. He always had a really good band, semi-big, at least seven or eight guys, with a horn section. But he would have been fine with just a piano accompanying him, like Nat 'King' Cole. He was a total professional who owned the stage. If you had never heard of him, you still knew instantly that he was — somebody. "He was quite the crooner, but I was surprised, even shocked, to find out he had also been a black singing cowboy in the movies," Andrews said. "Imagine. That had to be a tougher assignment than black jazz singer." 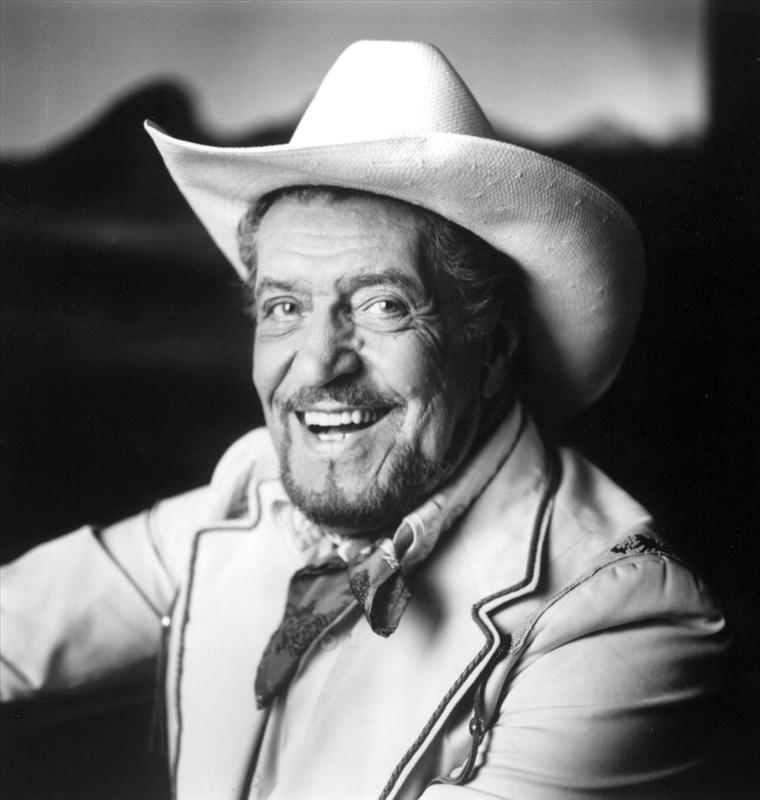 Herb Jeffries was among the honorees at a 1992 Autry Museum tribute to the great singing cowboys of the big and small screens. Boyd Magers, author of seven books on Western films and editor-publisher of the popular "Western Clippings" website, recalls meeting Jeffries that night. "He asked me if I had 'The Virginian' episode titled 'Stopover," which he had done in 1969," Magers said. "I did, so I sent it to him. About a year later, he called and said he'd loaned it to someone and never got it back, and asked me to send him another one. Sure. Another year later, he called again. This time, they'd moved and he couldn't find it. Before he asked, I said another was on its way. "Every time we met after that, I jokingly asked if he needed another one," Magers said. "He was a wonderful human being. It's the end of an era." The Autry event sparked a resurgence of interest in Jeffries' films and singing career. In 1995, an 82-year-old Jeffries signed a deal with Warner Bros.' short-lived Warner Western label. Jeffries cut an album of swinging cowboy songs titled "The Bronze Buckaroo (Rides Again)," backed by Michael Martin Murphy, Take Six, Little Texas, Hal Linden, Rex Allen Jr., The Mills Brothers and fellow Newhall Walk of Western Stars inductee The Sons of the San Joaquin. "That (recording session) was very meaningful for us," said Jack Hannah, co-founder of the Sons. The Western music trio has been a perennial headliner at the annual Santa Clarita Cowboy Festival. Warner Western publicity photo, 1995. "It was the first time I had an opportunity to meet him," Hannah said. "I didn't realize he'd sung with Duke Ellington. He had that unbelievable tenor voice but could also sing bass. It didn't make a difference where it was on the scale; he could sing it. And it was obvious he loved our music, too. We were fortunate to back him on that album. That was a very rare experience. "He was truly gifted, vocally, and talented, but above all of that, he was a remarkable person," Hannah said. "He was very generous and giving. He had a great presence and knew how to make people feel comfortable around him. Even though people sat in awe of him, they never were intimidated. That's what I noticed. He had that way of being gracious. There were no 'little' people around him. Everybody was a celebrity to Herb. "I never heard him ever complain or ever put down or in any way insinuate something negative about someone, either," Hannah said. "He either praised or he didn't say anything. He also was a man of faith. He wasn't shy about that. He was willing to say that he loved the Lord and that he was thankful for what Christ did on the cross for him. I'm sure that was an unusual thing, for a guy in his celebrity status to be open about. He was one of a kind." One stop on Jeffries' album-promotion trail was the Westwood One radio network studio in Valencia. "What a cool gentleman," said Bob Blackburn, then a Westwood One producer stationed there. March 30, 2001: Jeffries' bronze saddle plaque is unveiled in front of El Trocadero restaurant in Nehwall. Photo: Leon Worden. In 1996, Jeffries received the coveted Golden Boot Award from the Motion Picture & Television Fund, which honors actors and behind-the-camera crew members who have made significant contributions to Western films and TV shows, and helps fund the retirement home in Calabasas for veterans of the entertainment industry. 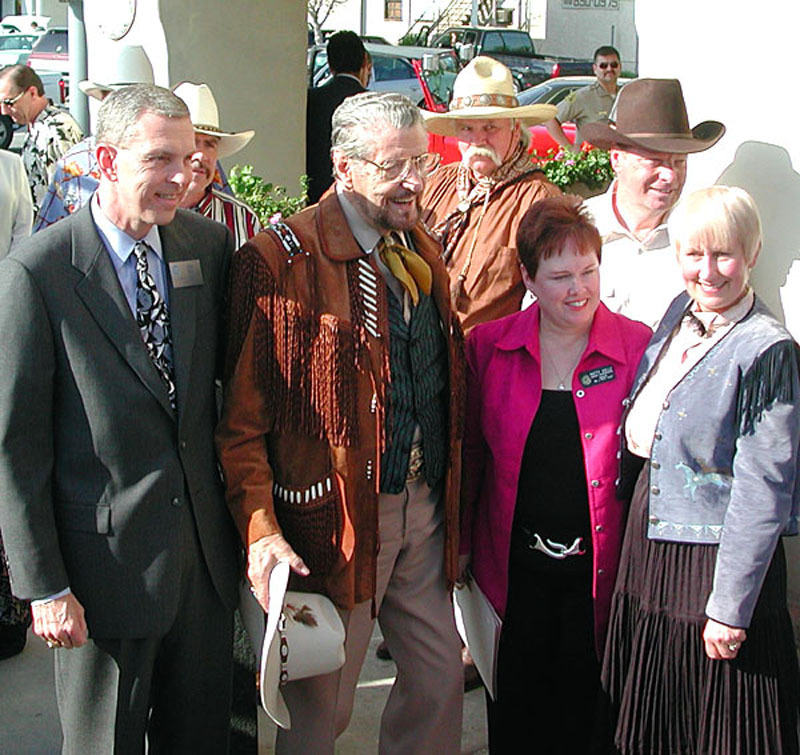 By 2001, when Jeffries was inducted into the Walk of Western Stars in historic Old Town Newhall (his bronze saddle plaque is in front of El Trocadero restaurant on Main Street), the annual ceremony had become part of the city of Santa Clarita's Cowboy Poetry & Music Festival (now the Santa Clarita Cowboy Festival). Honored alongside Jeffries that year were Sand Canyon resident Linda Gray of "Dallas" fame; veteran Western and character actor Wilford Brimley; and Santa Clarita's "Mayor Emeritus" Jo Anne Darcy, who had co-founded the Walk in 1981 with Milt Diamond as a means of celebrating Western film, stage, television and radio personalities who performed in the Santa Clarita Valley. In 2003, Jeffries and Savannah married, and notwithstanding a four-decade age difference, they found peace, love and happiness together for the rest of Herb's days. "I arrived late in his career and life," Savannah wrote in a 100th birthday tribute. "At 100, he still amazes me with his in-depth, multi-faceted life and sage-like wisdom and intuition. His ageless, dignified, charismatic demeanor, along with being very handsome, made it easy for me when he asked me to marry. I am 42 years younger, yet he touched my heart so deeply. I said 'yes' because I am so comfortable by just being at his side. Being 42 years younger was not an issue due to his youth and fun-loving ways, and of course his magnetic charm." 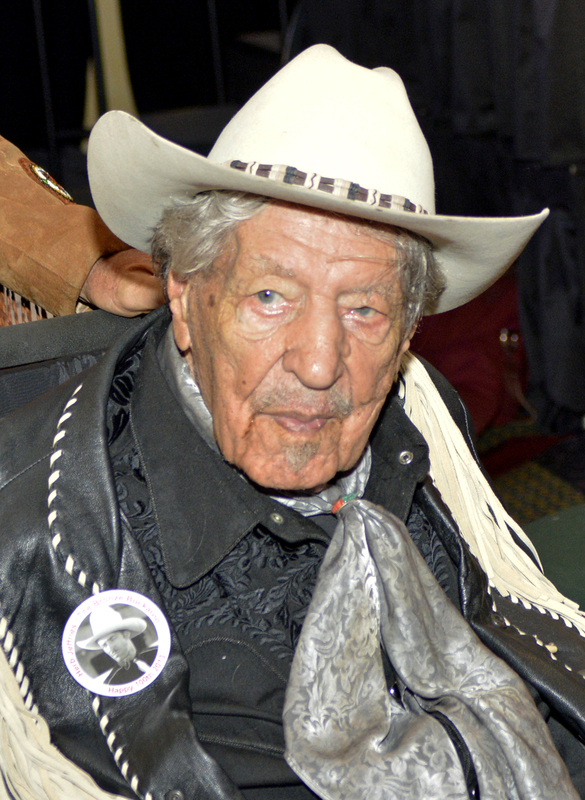 The Cowboy Hall of Fame inducted Jeffries in 2003, and the same year President George W. Bush invited him to the White House for a performance. Jeffries earned a standing ovation. On Sept. 24, 2004, Jeffries received a star on the Hollywood Walk of Fame, honoring his music and film careers. The city of Palm Desert opened the Herb Jeffries Trail, which connected to a series of trails including one named for TV Western star Hopalong Cassidy (William Boyd), a frequent Jeffries riding partner. The same year, officials at the National Cowboy & Western Heritage Museum flew Jeffries and his wife to Oklahoma City for his induction into the museum's Hall of Great Western Performers. Jeffries with members of the band Cow Bop at the 2008 Newhall Walk of Western Stars induction ceremony. Jeffries frequently attended the annual event after being honored in 2001. Photo 4-25-2008 by Stephen K. Peeples. Actor "Buck" Taylor, veteran of the last eight seasons of TV's "Gunsmoke" (1967-75) as Matt Dillion's deputy Newly O'Brien and now a noted Western artist, delivered the speech inducting his longtime friend. In his former hometown of Idyllwild, Jeffries was "revered and beloved by the residents of that mountaintop artists' enclave," Savannah Jeffries said. He rarely missed a Walk of Western Stars ceremony or banquet in Santa Clarita, though, and he always had a smile and time to talk with old friends as well as fans he was meeting for the first time. In later years, unable to walk distances, he rode on a Westernized personal electric scooter. Herb Jeffries' last public performances came three years ago when he sang with an orchestra in Oceanside. Utah Symphony principal clarinetist Tad Calcara, an Oceanside native and Jeffries fan, connected with the singer through a relative who knew them both. Calcara and Jeffries sat down for extensive video interviews in 2009 and 2010, and Calcara posted several clips on his YouTube channel. They kept in touch, and in late summer 2011, Calcara invited Jeffries to perform at a benefit concert for the Oceanside School District "to keep their instrumental elementary music program alive," Calcara said. "I conducted the Big Band & Jazz Hall of Fame Orchestra based in San Diego, and Herb sang a lot of the old Duke Ellington pieces he did back in the '30s and '40s with us," he said. "We raised a substantial amount of money to keep the program going. "We did a couple more programs with that same group, and Herb's very last live public performance was in August 2011 with them," Calcala said. "He was 97 and still remembered all the words and was able to work the audience. It was really remarkable." At the time of his death, Jeffries was working on an autobiography with a prospective title of "The Color of Love," in collaboration with longtime friend and biographer Raymond Strait. "We plan to finish the book by fall, so it should be out sometime this year," Savannah Jeffries said. 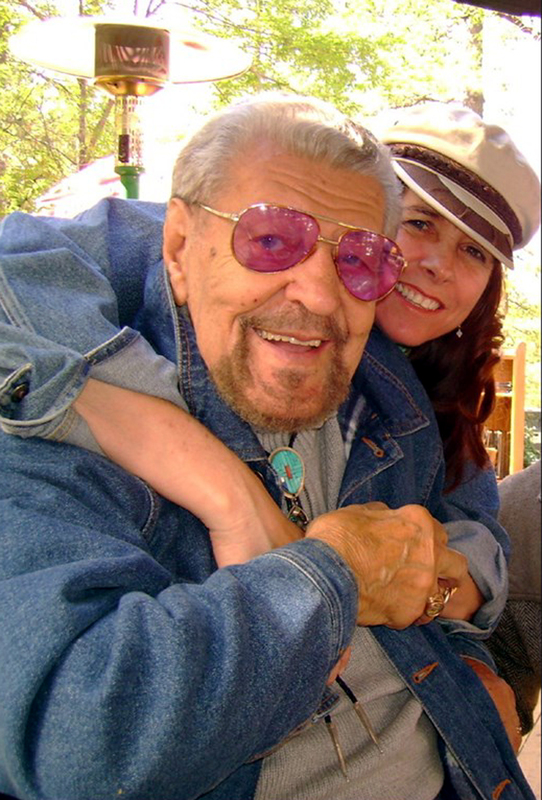 Along with wife Savannah, Herb Jeffries is survived by three daughters, two sons, "and many grandchildren and great-grandchildren," his widow writes on the family's new crowd-funding Web page. While he enjoyed fame, Jeffries was not financially secure in his later years, so his survivors set up a page on YouCaring.com for donors to help pay for his burial and other funeral expenses. Contributions by snail mail may be addressed to Sarah Lee Jeffries, 131 Entrada Drive No. 14, Santa Monica, CA 90402. The family also invites fans and well-wishers to share pictures, videos and condolences and make inquiries via Herb.Jeffries.Memorial@gmail.com, she said. The Self Realization Fellowship will hold a memorial service for Jeffries at The Temple on the Fellowship's Lake Shrine, 17190 Sunset Blvd., Pacific Palisades 90272. Brother Achalananda will be the presiding minister. The public is invited to the service, which starts with a memorial tribute from 11 a.m. to 12:30 p.m. and continues with visiting until 4 p.m.
"Herb Jeffries was a gentle, humble, spiritual man ... Paramhansa Yogananda's close buddy," Savannah Jeffries wrote on the YouCaring page. "His one belief above all others: 'There is only one race: the human race.' His was a long life well-lived, and he will be greatly missed by many." Special thanks to Sarah Lee "Savannah" Jeffries and the Jeffries family, Paige Hagen, Leon Worden, Tom White, Boyd Magers, Jack Hannah, Andree Walper, Mike Fleming, Tad Calcara and Charles Andrews. Chart numbers courtesy of Joel Whitburn's Record Research.